So, it's Christmas Eve, you just finished walking the Milford Track the previous day, the sun is shining and you're in Wanaka. What do you do? 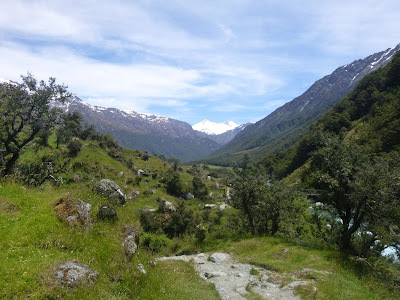 We drove out to Raspberry Flat and walked up the Matukituki Valley for a day walk. The weather was perfect so it was a hot walk with little cover from the sun. 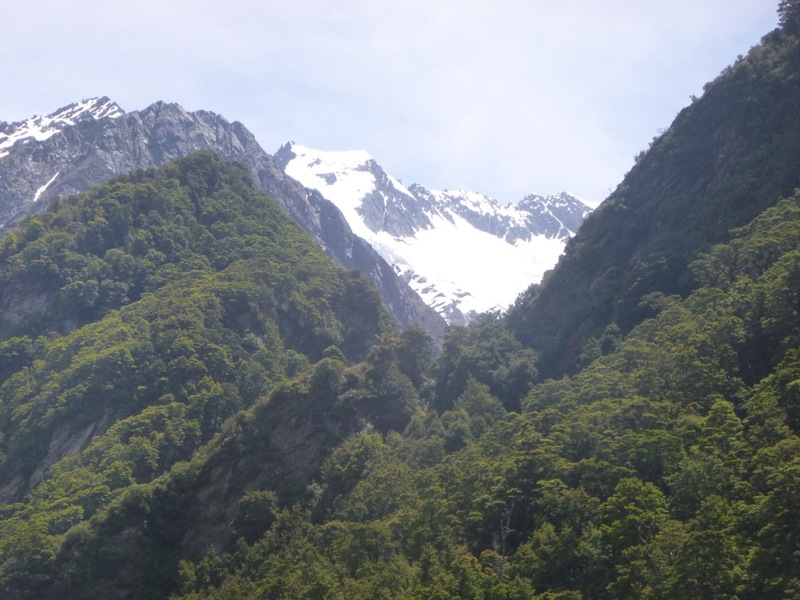 The track goes past the turn off to the Rob Roy Glacier pictured below. 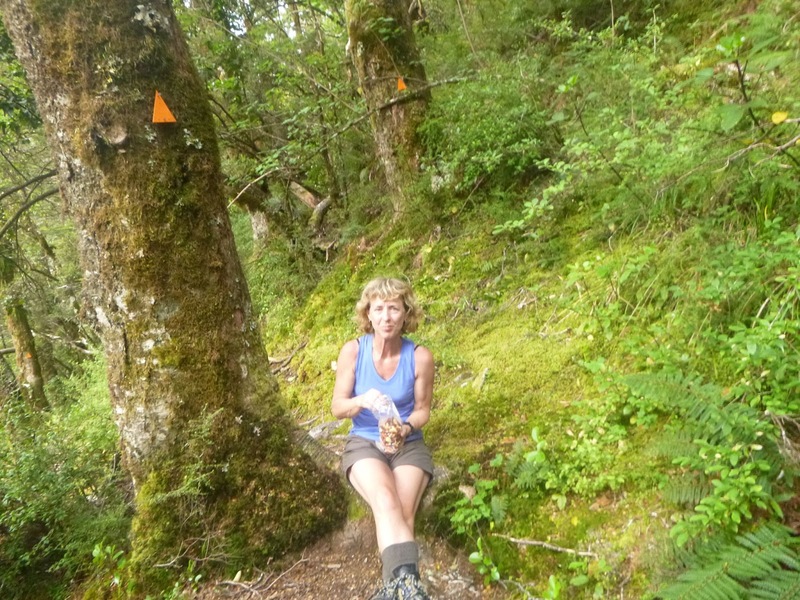 Luckily we managed to find a shady spot to have our lunch. After lunch a couple of us carried out to Aspiring Hut which was another 15 - 20 minutes further on up the valley. 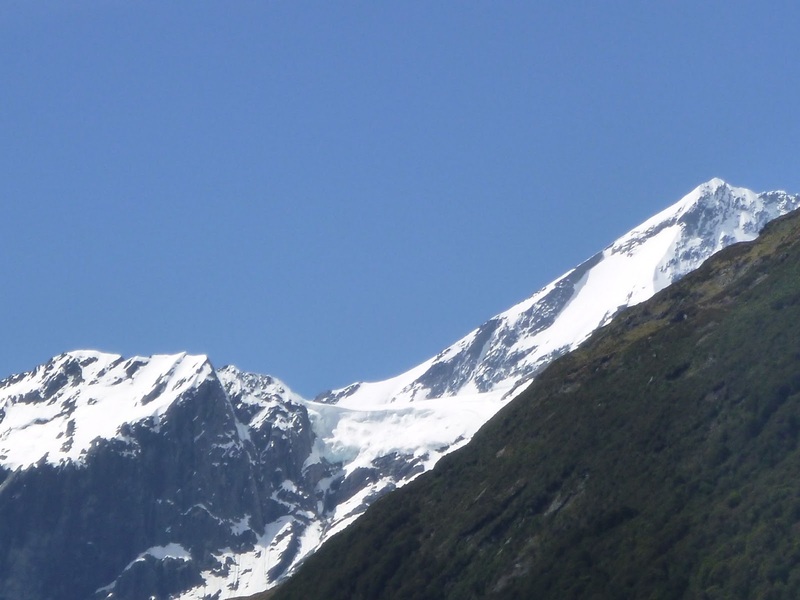 In the photo below, the peak in the background on the right is Mt Aspiring. After a long hot walk we had a swim in the Matukituki River down by the carpark before heading home and out for dinner. 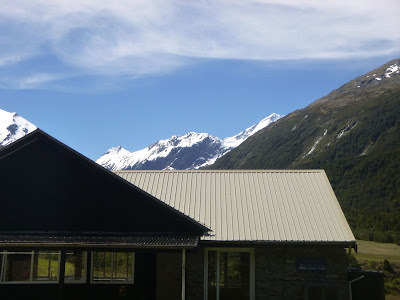 Christmas Day was a perfect, scorching day in Wanaka and Queenstown with most of the day spent driving to Queenstown and back again. Boxing Day was the day we set off for our climb on Mt Aspiring. 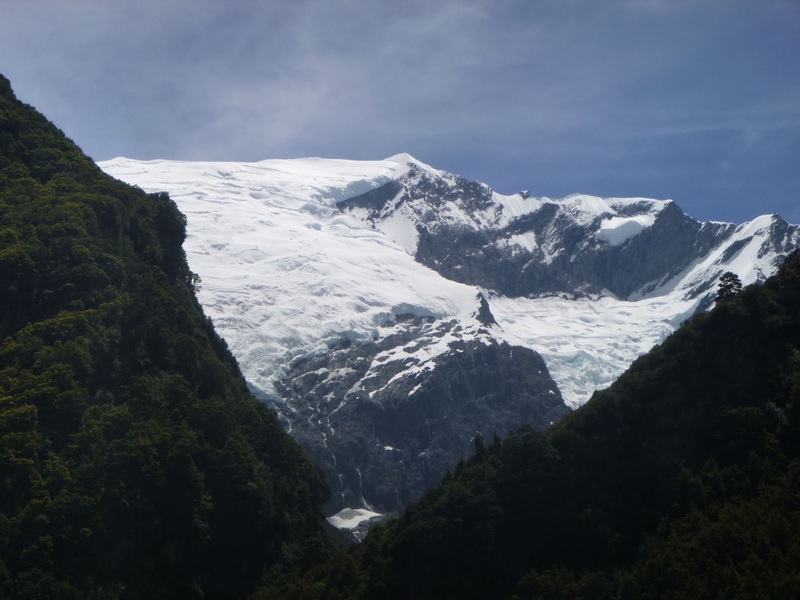 We retraced our steps from Christmas Eve and headed up the Matukituki Valley but this time carrying heavy packs with our climbing gear. 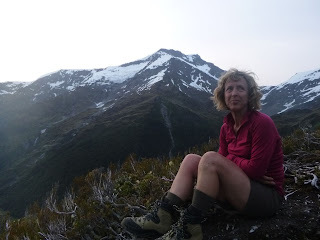 I made the decision to walk in wearing my climbing boots - that's a mistake I won't make again. Despite taping my feet I developed large blisters on my heels making the walk less than enjoyable. 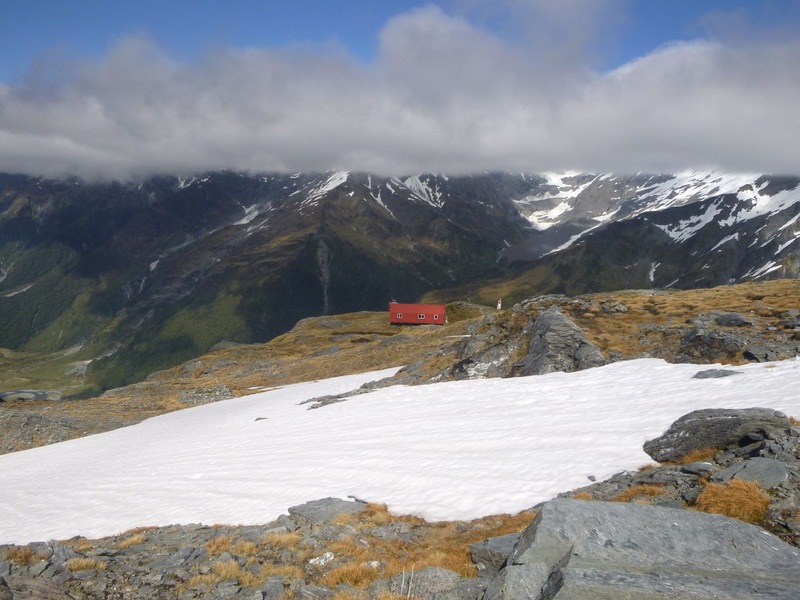 The plan for the first day was to walk up to French Ridge Hut. 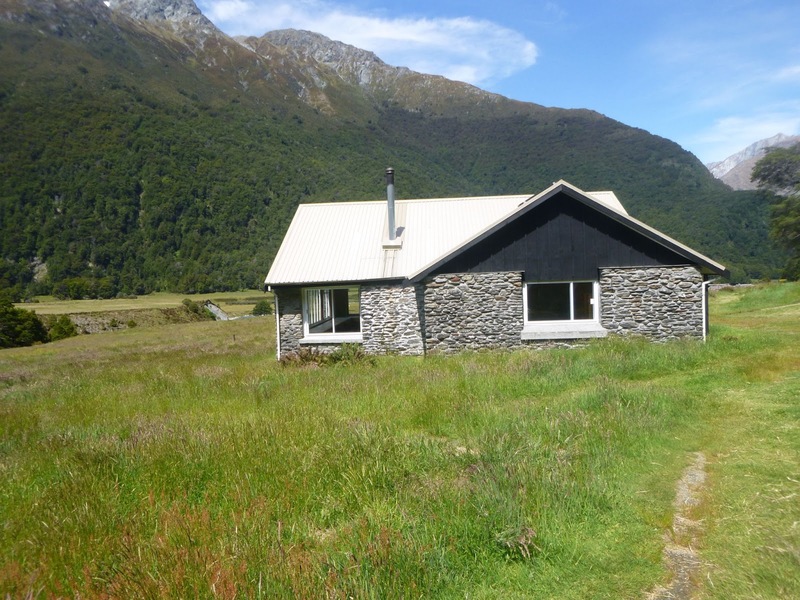 That involved walking up the Matukituki, past Aspiring Hut, across the river and then up the hill to the hut. On the surface that seemed like a simple, achievable plan. In retrospect, starting to walk in after 3pm wasn't the smartest choice. From the valley floor we had a great view of French Ridge. The first part of the walk up to the hut is through bush. That was ok although some parts of the track were pretty rough and steep. Rest breaks were certainly needed. After a while we came out of the bush into open tussock. At this point the sun was starting to go down and we were getting pretty tired. The weight of our packs didn't make the walk easy at all. 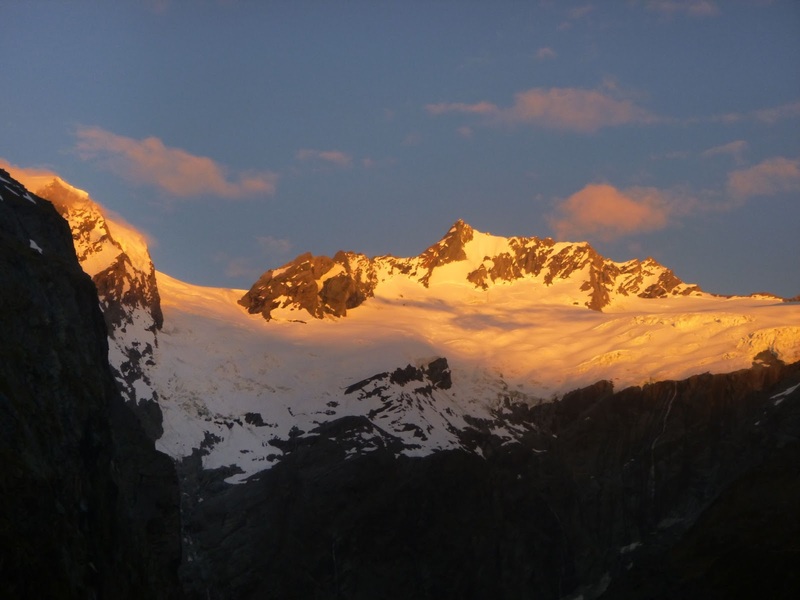 The photo below was taken as the sun was going down. We finally reached the hut at around 11pm. There were two other people asleep in the hut so we quietly had a snack (too tired to eat a proper meal) and got ourselves to bed. Tomorrow would be another hard day with the plan of climbing up to the Quarterdeck, crossing the Bonar Glacier and getting to Colin Todd Hut to position ourselves to summit Mt Aspiring the following day.